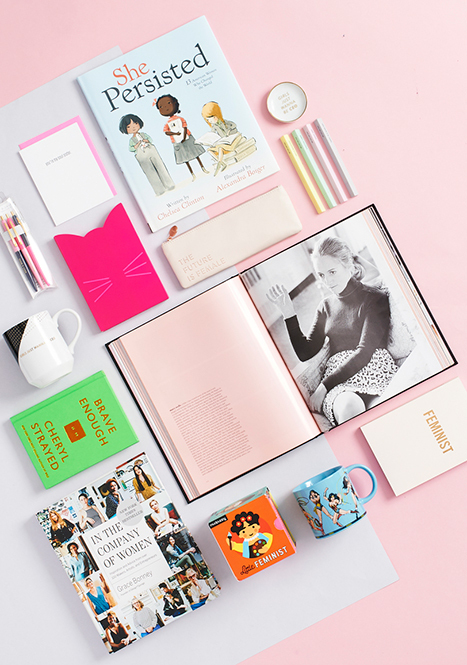 We’ve carefully curated an assortment of women-empowerment products from women-owned, led, and supported brands like Rifle Paper Co., Seltzer Goods, Ban.Do, Snow and Graham, Good Paper, S’well, and Packed Party. 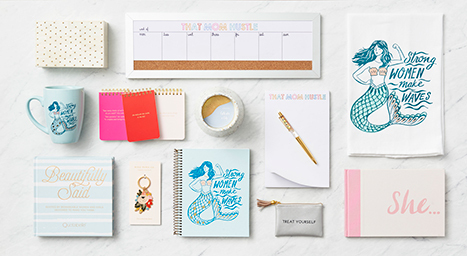 We’re also proud to say our own design team here at Paper Source is all women. They’re responsible for creating all the original illustrations, iconography and hand-lettering seen across all of our exclusive products. They’re also the creative team behind our exclusive paper craft kits. They plan out all the die cuts, folds and techniques required to turn a simple piece of paper into a flower, wreath or cute little creature. Each of our designers brings their own unique vision to our design and products, hopefully inspiring you to do something creative every day. 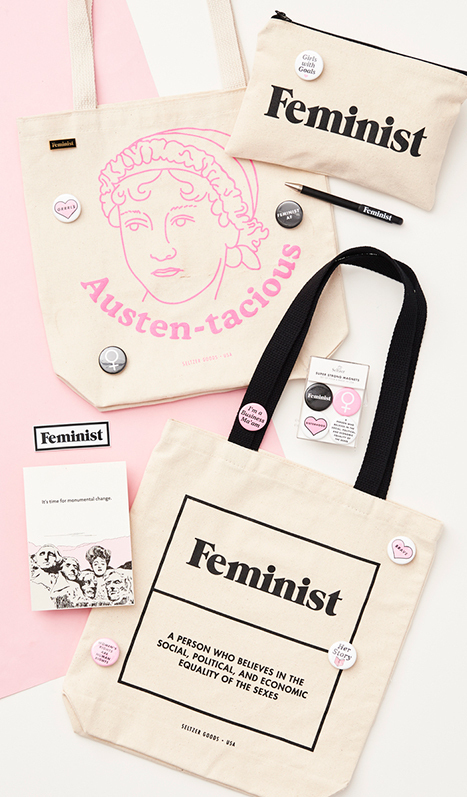 And speaking of creative, we’ll have special “Women We Love” DIY activities in stores all throughout Spring, like our Empowerment Banner Mini Workshop which will be available for customers now through March 11th. On March 8th, both men and women alike can attend an open craft event to create women-themed posters and stickers in support of International Women’s Day on March 8th. Equality and empowerment have always been an important ethos at Paper Source, starting with our founder Sue Lindstrom, so it is natural for our brand to support and to celebrate the continued journey for gender equality. PS this is so awesome! This is wonderful! I founded a social enterprise called Bridget, which connects under-served teen girls to corporate America. Through a 9-week skill-building program, we immerse a cohort of teen girls in career exploration, pairing with a female professional representing a corporate partner brand. The culmination of each program is a branded video report created by the girls about their experience. The brand is encouraged to use the video to share their community impact! We love learning about successful businesses with female founders. Thank you for this initiative! this is inspiring! love it.